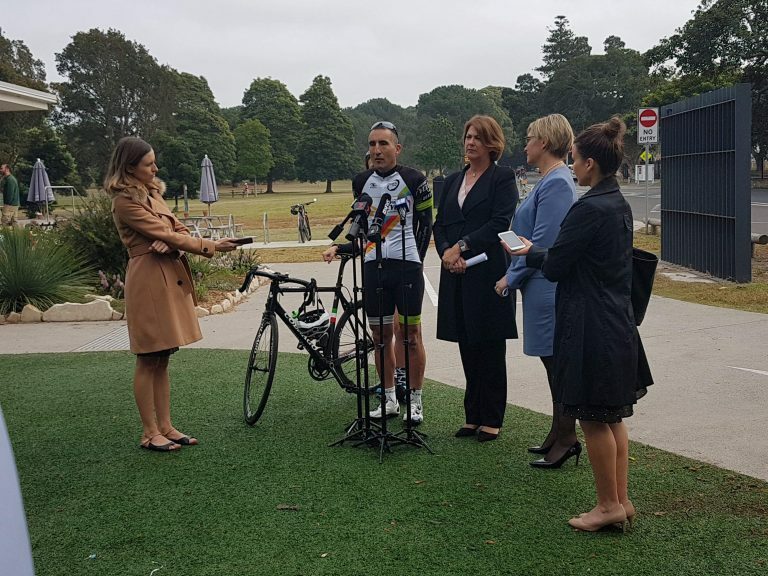 Bicycle NSW and Minister Pavey announced today that the Minimum Passing Distance is being made permanent. From April 2016, the MPD has been in a trial phase. 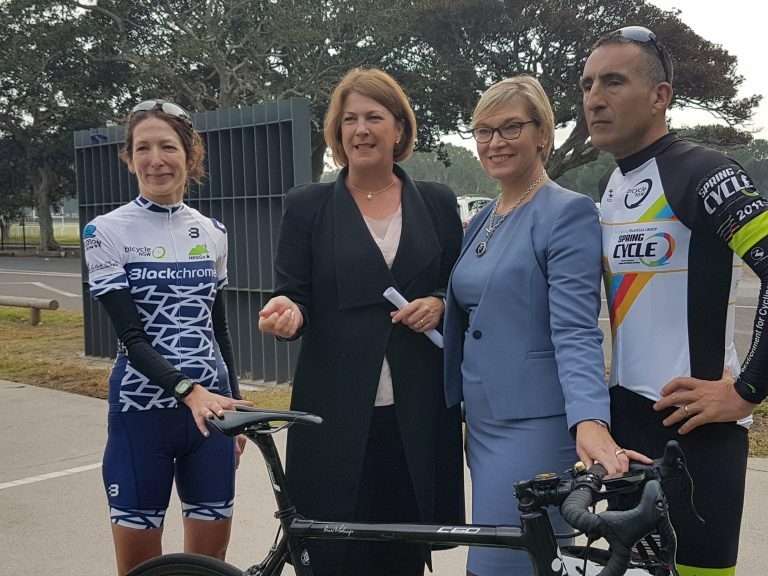 Since this time, Bicycle NSW has worked with the NSW Government to educate them about the importance of this law and we are thrilled that it being made permanent. Bicycle NSW has worked very hard to educate NSW politicians to ensure that this law was brought before NSW parliament following successful trials elsewhere, as advocated for by Amy Gillett Foundation. Now in May 2018, Bicycle NSW can say, together with the NSW Government, that we are making a better environment for cycling in our state. Giving bike riders this metre or metre and a half, is for their safety. They are the most vulnerable road users. Motor vehicles at any speed can cause considerable damage, even death, to a rider. In places where there is no alternative path, Bicycle NSW wants all bike riders to be able to cycle as safely as possible on the roads. Vehicles passing too close is a major concern and often scares people away from the benefits of bike riding. Making the Minimum Passing Distance permanent is about keeping existing cyclists safer, and also showing new riders that cycling is a safe and beneficial method of transport and recreation. Bicycle NSW is happy the law is permanent, but let’s also look at the statistics from the last 2 years. Only 70 motorists have been charged since safe passing rules were introduced, but Bicycle NSW is called daily by at least one of our Members about a close pass. We have a full MPD guide on our website in terms of how you can take evidence to the police - you can view it here. Still, many of these are left unreported due to “lack of evidence” or the police not wanting to investigate these offences. One Member recently went to the Sydney Morning Herald, after being brushed off by the police multiple times. Read the article here. 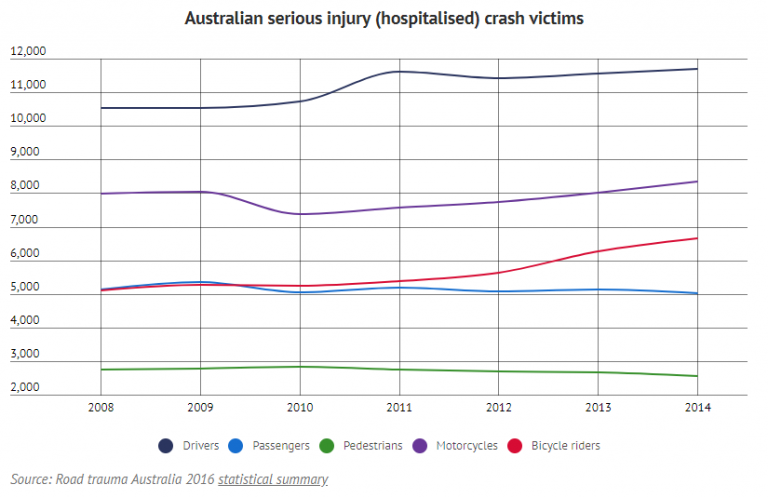 New Australian research published in Accident Analysis and Prevention last month found 16 per cent of all drivers drove dangerously close to cyclists. That number rose to 34 per cent of drivers on curved roads and those without bike paths. “Since 1998, 742 cyclists have been killed on the roads. It found about 83 per cent of these involved another driver.” Read more here. The fact that a cycling memorial was opened last month, shows the extent of the issue. We need to do something about it. Just making a law doesn’t fix the issue. We need education and we need enforcement. Bicycle NSW is taking action. We are talking to the police to raise awareness about this particular law and how to actually charge and/or fine. We are sending representatives to the Highway Patrol training course in order to teach them about the Minimum Passing Distance law. We’re making it personal and not just another law from their textbook that they need to learn. Minister Pavey and the NSW Government have done well in ensuring this law becomes permanent but legalising this is just not enough. Bicycle NSW looks forward to working with the Minister in order to increase awareness and enforcement of this law. Let’s keep our cyclists safe. We are looking forward to seeing the ramp for the Northern end of the Harbour Bridge being built.